After getting a bit jealous of all these smug people coming from Manali on their motorbikes we decided to rent one for ourselves and see a bit of the Indus and Nubra Valleys, and possibly take the road to Pangong lake – the later two were not to be due to extremely unforeseen circumstances. We planned to take the NH1D towards Srinagar as far as Lamayaru to see the monastery there and come back via Alchi, Likir and Spitok. All famous for their imposing religious structures. Lamayaru was not to be though. Landslides were a problem and we were constantly waiting for them to be cleared. We turned back to Alchi and stayed the night and next day visited the 11th century Alchi Gompa with its frescoes of 1000 Buddha’s, Sadly no photos allowed, and the other Gompas or Monasteries. The next day we travelled upstream on the other side of the Indus to Stok and Hemis. Stok Palace is the now residence of the former Ladakhi royal family and has a small museum and photos of times past in the area. 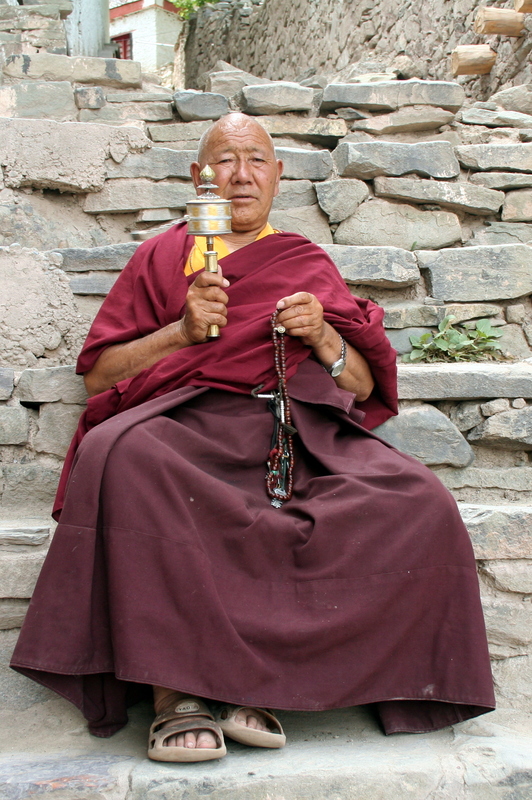 Hemis is a gompa of the Drugka Sect of Buddhism. It’s one of the most timeless places in the Indus valley with a small village sprawling down a gulley and the imposing Gompa sitting as a crown on top. Inside painstaking work is constantly done to keep this monastery and Its museum in perfect condition, befitting the R100 entry charge. Later in the day we returned via Thiksey and Shey back on the Leh side of the Indus. There are ancient Buddhist rock carvings as well as forests of Chortens or stupas all along the road. As well as the ubiquitous army bases. The next day we were all set to travel up to Khardung la, the highest road in the world at 5602m and down the other side into the Nubra Valley. Stepping outside into the rain we decided to have a day or two rest and go then – Driving a motorbike in the cold rain with no waterproofs is not an enjoyable experience. It proved to be a particularly good decision as the events of the next couple of days revealed. This has definitely been one of my favourite places in India. Soaring green mountains, snow-capped peaks and bright blue skies. And lots of walking! We managed a few day hikes, best of which was the walk up to Grahan – I hope I spelled that right. 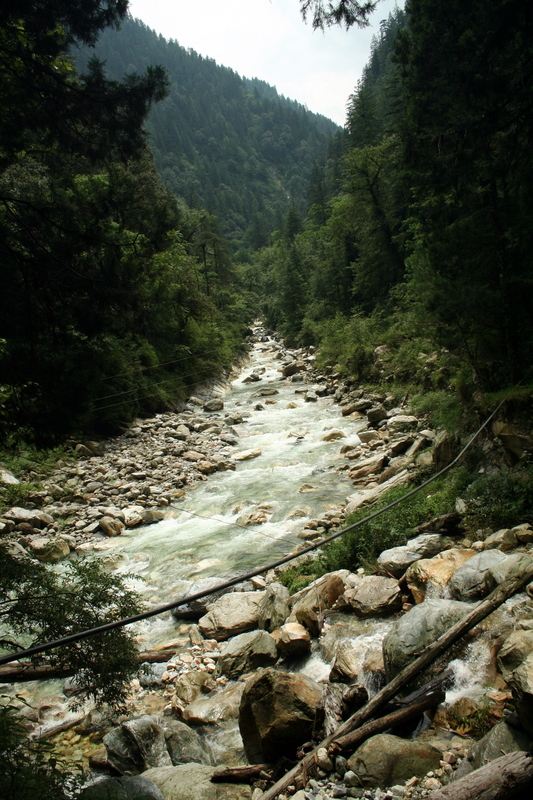 It’s a steep climb from Kasol up the small river but the walk and the views at the top are worth it. Village Life goes on as normal here, as it must have done for a long time, the only obvious thing that lets you know you haven’t stepped back in time is the satellite dishes on a couple of the houses. Theres no time-saving machinery here, everything is still done by hand. I’m not even sure they would have anywhere to put it – space is a premium when you live on a hillside. Anyway, heres a few photos. Did you know that India produces over 50% of the world mango crop, but only accounts for 2% of world trade. 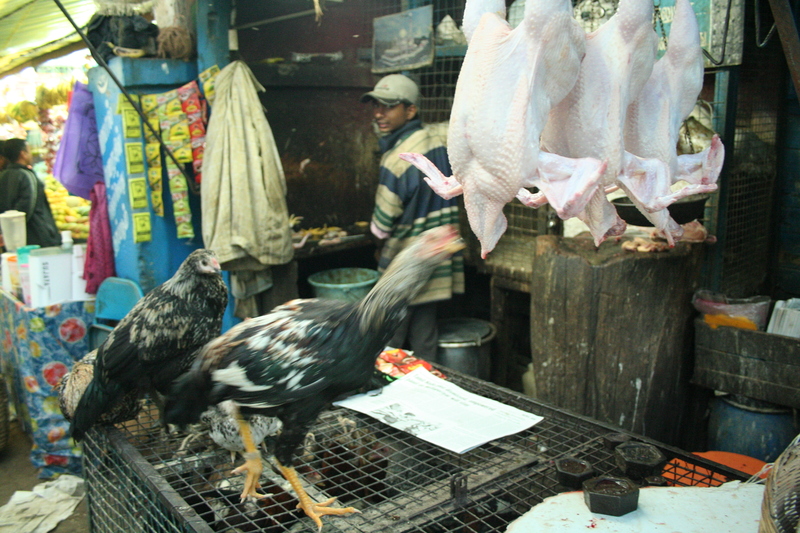 These guys love mangoes and in the run up to the rainy season, when the mango season ends they’re on sale everywhere. he most famous and the most prized cultivar is the Alphonso mango – named after Afonso de Albuquerque, caeser of the east who used to take them on his journeys to Goa. When ripe it has yellow skin and soft orange flesh that’s super sweet and has a fragrant flavour. Its nothing like the flavourless, sour mangoes you see in supermarkets around the world which are picked unripe so they don’t rot during transport. The Alphonso only last for about a week after picking so need to be air freighted to Indian communities around the world. Alphonso are grown all over India, but the most sought after are the ones grown on the Konkan coast of Maharashtra – These fetch the highest prices at market here and make up the bulk of the overseas trade. 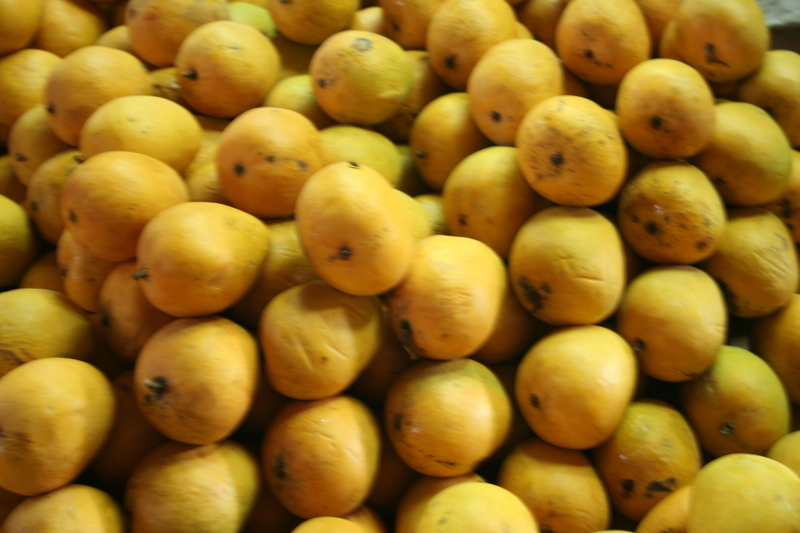 In fact the finest mangoes come from a small area around the towns of Ratnagiri and Devgad. These are the mangoes that people are coming to buy in the Crawford market. 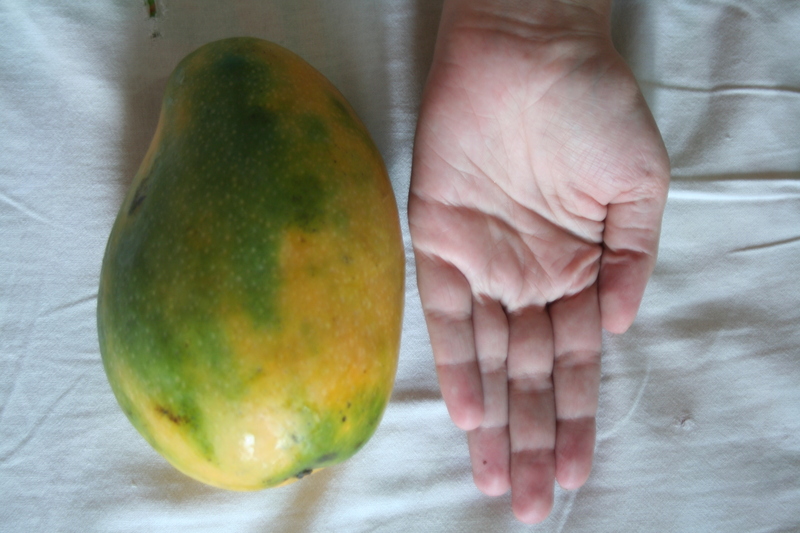 In fact mangoes seem to take up half of the market. Although the chunks of fresh fruit are amazing on their own, my personal favourite has to be the mango lassi. The mangoes pureed with curds and served like a smoothie. Its like drinking nectar – I’d definitely choose it as my desert island drink. In fact I though I’d tasted the best at Kailas restaurant in Aurangabad, where I drank Lassi and pure fruit juices that made it seem that I’d been injected intravenously with an overdose of the endorphins that the juice produces, until I tried the mango lassi at Sai Baba juice bar in Nasik. This was the daddy – Chopped Mango, Mango Puree, Cashews, Almonds, Sweet Curds, dried cherries and A scoop of soft ice cream. I wish I had one right now. Sadly the Alphonso mangoes are finished for another year, as soon as the monsoon hit’s the fruit begins to rot quickly and a work starts to affect it. Lucky for me, I’m off to Rajasthan where the Kesar mangoes Like this bad boy which must weigh nearly a kilo are still in season.